On Monday, November 5, the FCC issued a letter dismissing a Petition for Rulemaking filed in February 2012 by Rolan Clark, W3FDK, of Adamstown, Maryland. 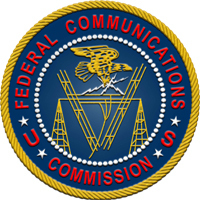 In his Petition, Clark had asked the FCC to amend Section 97.219, specifying that control operators of the first forwarding station in a message forwarding system of stations should not be obligated to authenticate the identity of a station from which the message forwarding system accepts messages, and that the first forwarding station should not accept accountability for any violative content of the messages put into the system, Read more here. Amateur Radio operators who want to assist those Sections affected by Hurricane Sandy should not self-deploy to those areas. "There are many ARRL Sections involved in the impact area, and each has different requirements on how they locate, credential and deploy volunteers," explained ARRL Emergency Preparedness Manager Mike Corey, KI1U. "If a need for manpower is identified that cannot be met locally or in the Section, Section leadership may contact other Sections for assistance. If the need is still not met, Section leadership may then contact ARRL HQ for assistance." 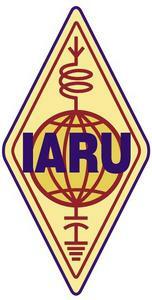 The Administrative Council (AC) of the International Amateur Radio Union (IARU) held its Annual Meeting November 2-4 in Ho Chi Minh City, Vietnam. The AC -- which consists of the three IARU International Officers and two representatives from each of the three IARU regional organizations -- is responsible for the policy and management of the IARU and. According to IARU Secretary Rod Stafford, W6ROD, the meeting was a somber occasion due to the passing of IARU Region 3 Chairman Michael J. Owen, VK3KI. Owen had been a member of the Administrative Council for most of its existence, and had been a longtime contributor to the efforts of IARU to promote and preserve Amateur Radio. Read more here. With the switch from Daylight Saving Time to Standard Time this past weekend, W1AW Station Manager Joe Carcia, NJ1Q, has updated the W1AW operating schedule to reflect the change. The standard times have not changed, but the UTC times have. Read more here. ARRL Information Technology Manager Michael Keane, K1MK, is reporting that while Logbook of The World (LoTW) system is currently down, it is expected to be back up by 9 AM EST (1400 UTC) on Friday, November 9. "While the system is temporarily down, radio amateurs are not able to access LoTW or upload their logs," Keane explained. "No data has been lost, and everyone's records are intact. We understand the problem and we are in the process of restoring service to LoTW. 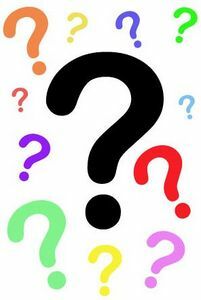 Since both the Logbook of The World service and the Online DXCC service are connected to the ARRL Awards System, radio amateurs are not able to access either service until the system is restored. We apologize for any inconvenience this may cause, and want to assure the amateur community that the ARRL is working diligently to restore service to these popular programs." The ARRL Executive Committee (EC) held its second 2012 meeting Saturday, September 29 in Denver, Colorado. The EC is responsible for administering the League's affairs in between Board meetings. According to the ARRL Articles of Association, the EC meets during the intervals between meetings of the Board of Directors. It meets at the call of the President, but no less often than semi-annually; the last meeting of the EC was March 24, 2012. At the meeting, the EC discussed the lack of visibility of Amateur Radio enforcement actions, the FCC's study of the Amateur Radio study mandated by Congress, the status to the followup of the report of the ARRL's National Broadband Plan Committee, the future implementation of the secondary MF allocation of 472-479 kHz and the Notice of Proposed Rulemaking -- expected, but yet not released at the time of the meeting -- that seeks to change the way Amateur Radio licenses are administered and granted, as well as a change to the TDMA rules. The Committee also discussed the upcoming Centennial Celebration and voted to approve conventions and affiliated radio clubs, and recognized new ARRL Life Members. Read more here. This feature is a concise monthly update of some of the things that the ARRL is doing on behalf of its members. This installment -- which covers the month of October -- takes a look how affected ARRL Sections handled the effects of Hurricane Sandy, the 2012 ARRL National Convention in California, the annual ARRL On-Line Auction, new ARRL publications, W1AW activities during JOTA, reports from the Official Observer Desk and more. Read more here. The Atlantic Division Leadership is turning the traditional convention model on its head! This year -- through the use of multimedia -- the Division will host its convention on the Internet on Saturday, November 10. ARRL President (and former Atlantic Division Director) Kay Craigie, N3KN, will be the keynote speaker at the 2012 Atlantic Division Convention! "We will be doing the convention as an educational event," explained ARRL Atlantic Division Director Bill Edgar, N3LLR. "We have some world-class presenters and topics for the convention, including NBEMS; an emergency communications discussion panel, information on stealth antennas, a DX forum and a forum on RF propagation." Find information and the presentations schedule for the convention here. There is no cost for registration and Edgar said that there are still some seats available, but registration will close when there are no more seats available. On Sunday, November 11, here in the US and abroad, we will celebrate Veterans Day, also called Remembrance Day or Armistice Day. Originally a holiday that marked the end of World War I -- the "War to End All Wars" -- this day has been set aside to honor all who have served their country. It was on November 11, 1918, on the 11th hour of the 11th day of the 11th month, that Germany signed the Armistice, formally ending the hostilities that had been ongoing since 1914. The ARRL would like to take this opportunity to thank our service veterans. Whether they served on active duty or reserve, during peacetime or time of conflict, they served their county with honor. We also would be remiss if we did not remember the families of those veterans who kept the home fires burning bright; without their love and support, our veterans would have indeed been alone. ARRL Headquarters has its share of service veterans: Assistant VEC Manager Perry Green, WY1O (Army); Technical Editor Joel Hallas, W1ZR (Army); News Editor S. Khrystyne Keane, K1SFA (Coast Guard); Instruction and Resource Coordinator Nathan McCray, K9CPO (Navy); DXCC Manager Bill Moore, NC1L (Army); Reprints Specialist Tony Nesta, AA1RZ (Navy); Membership and Volunteer Programs Manager Dave Patton, NN1N (Navy); Technical Relations Specialist Jon Siverling, WB3ERA (Army); Field and Regulatory Correspondent Chuck Skolaut, K0BOG (Air Force), and Education & Technology Program Coordinator Mark Spencer, WA8SME (Air Force). As of January 27, 2013, the USPS wants to stop selling International Reply Coupons (IRCs). If approved and the US no longer sells IRCs, post offices in the US must continue to redeem them for those patrons who use them, per United Postal Union regulations. If the US Postal Service (USPS) gets its way, it will no longer sell International Reply Coupons (IRCs) after January 27, 2013. According to the October 23 edition of the Federal Register, there is not sufficient demand for the USPS to continue offering IRCs to customers; however, per the Universal Postal Union (UPU) regulations, the USPS must continue to exchange and redeem IRCs that have been purchased in foreign countries and presented at USPS facilities. Comments on this proposed change will be accepted through November 23, 2012. IRCs provide foreign addressees with a prepaid means of responding to inquiries, solicitations or other types of communications -- such as QSL cards -- that are initiated by US senders. 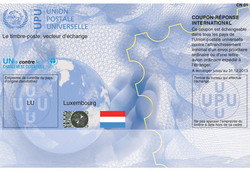 IRCs are exchangeable for postage stamps by postal administrations in member countries of the UPU. Each IRC is equivalent in value to the destination country's minimum postage price for an unregistered airmail letter. The purchase price is in the US is currently $2.20 per IRC. -- Thanks to The Daily DX for some information. 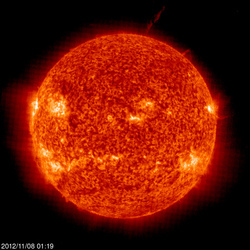 The Sun, as seen on Thursday, November 8, 2012, from NASA's SOHO Extreme Ultraviolet Imaging Telescope. This image was taken at 304 Angstrom; the bright material is at 60,000 to 80,000 Kelvin. Tad Cook, K7RA, reports: Solar activity retreated again this week, with the average daily sunspot numbers declining 8.7 points to 49.7, while the average daily solar flux was down nearly 20 points to 97.2. The latest forecast shows solar flux at 100 on November 8-9, 105 on November 10-11, 100 on November 12-13, 95 on November 14-15, 115 on November 16-17, and 110 on November 18-20. The planetary A index forecast predicts an index of 9 on November 8, 5 on November 9-10, 7 on November 11-12, 5 on November 13-18, 8 on November 19, and back down to 5 on November 20-December 10. Look for more on the ARRL website on Friday, November 9. For more information concerning radio propagation, visit the ARRL Technical Information Service Propagation page. Will you be participating in the ARRL 160 Meter Contest on November 30? Do you make a special effort to perform maintenance on your antenna system in preparation for winter? How many computers do you own (desktop, laptop or tablet)? How long do you keep your print editions of QST? Visit the QuickStats page and be sure to bookmark it in your browser. Results from this QuickStats poll will be published in the February 2013 issue of QST on the QuickStats page, located in the rear advertising section of the magazine. Along with monthly poll results, QST QuickStats offers colorful charts and graphs that highlight interesting Amateur Radio statistics.